McKinney Foot Care - Welcome to the Frontpage! We are a complete family podiatric practice. From flat feet to diabetes, and hammertoes to bunions, we treat common conditions for all ages. When conservative treatments aren't enough. With over 16 years of surgical experience, Dr. Swails is Certified by the American Board of Foot and Ankle Surgery and provides comprehensive surgical options. 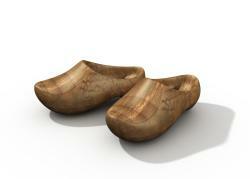 Protect your feet from risks associated with diabetes. We recommend a diabetic foot exam at minimum once per year. Begin here (AFTER scheduling your apppointment) to complete new patient registration online. Bring your photo ID and insurance card(s) with you to your visit. Call our office at 972-542-3668 or request an appointment below and will contact you. Originally from Oklahoma City, Oklahoma, Dr. Richard Swails attended Phillips University where he received his Bachelor of Science degree in Biology in 1997. Dr. Swails earned his Doctor of Podiatric Medicine degree in 2001 from Temple University School of Podiatric Medicine in Philadelphia, PA. He continued his specialty training in Kansas City as a surgical resident in the Medical Center of Independence Podiatric Surgical Residency Program from 2001 to 2003. His program focused on all aspects of Podiatric medicine and surgery including reconstructive surgery of the foot and ankle and diabetic limb salvage. From common conditions such as ingrown toenails, plantar warts and nail conditions to more complex ailments such as foot deformities, injuries and flat feet, we offer comprehensive podiatric care for a wide range of foot and ankle conditions. Click the icons below visit FootHealthFacts.org, where you can learn more about a wide array of foot conditions. 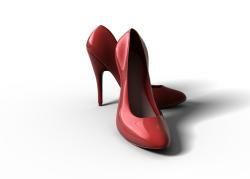 Bunions, Tailor's Bunions, Hammertoes and other structural abnormalities of the feet and toes. Diabetic check ups, numbness and tingling, poor circulation and ulceration. Ankle and foot sprains, strains, ligament injuries and fractures. Custom made orthotics and other custom bracing for treating a variety of conditions from ankle and foot instability to flat feet and heel pain. Dr. Swails relocated from Kansas City in 2006, where he began his practice in McKinney working with Dr. Paul Leon, who has practiced in the DFW area for over 50 years. 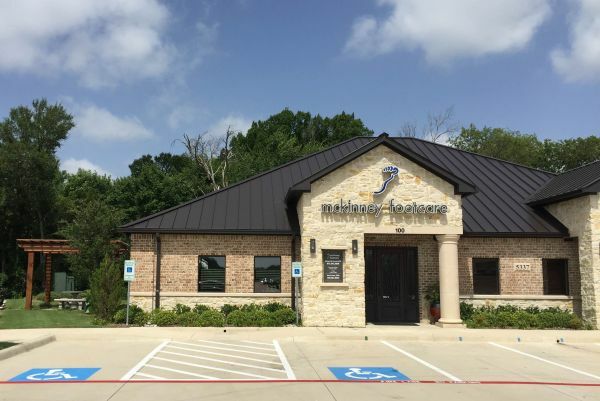 After building a successful private practice, McKinney Foot Care relocated to it's new location near Baylor Scott & White Medical Center in 2013. A:Below is a list of major insurance plans we accept, and is not a complete list. If you're unsure, call our office or contact your insurance by calling the member services number on the back of your card. A:Insurance coverage can vary by policy, which can effect the amount you may owe. We will verify your benefits before your appointment and contact you with an estimate of your responsibility. In most cases there are two parts to your visit: The evaluation and consultation (commonly referred to as the "office visit"), and any applicable treatment, which is charged in addition to the office visit. Most insurance only requires a "specialist copay" for the office visit portion, while any treatments are usually applied to any deductible you may have. This means that any treatment may be your responsibility. A:Click here to download the Records Request form. You may fax the completed form to 972.542.1728. A:We have an appointment time just for you! We ask that you provide us with 24 hours notice if you need to cancel your appointment by calling us at 972-542-3668. Even if you reach us after hours, please leave us a message. With some exceptions, missed appointments without notice will be assessed a $50 missed appointment fee. A:If you are planning to have your surgery at a surgery center or hospital, there are usually three charges involved: The surgeon (Dr Swails), the anesthesiologist, and the facility. When you schedule your surgery, we will provide you an estimate of the surgeon's portion as well as contact information for the anesthesiologist and facility where you may obtain an estimate directly. We are located southwest of the intersection of University Drive (Hwy 380) and Lake Forest Drive, just south of Baylor Scott & White Medical Center at McKinney. The entrance to Wilson Creek Medical Office Park is on University Drive and cannot be reached form Lake Forest Drive. Note that our office is not part of the medical office buildings at Baylor Scott & White Medical Center. We are in stand-alone buildings located across University Drive from Baylor. Copyright © 2019. McKinney Foot Care.